I have to admit that sometimes it is difficult to be surprised while travelling. Especially nowadays when everything is easily available online so one can prepare travel itineraries in detail, long before setting off. It is even possible to see the places on Streetview before going anywhere. But sometimes plans change and it is possible to discover the unexpected. That’s what happened to me last September during my cousin’s visit. We were mostly exploring London where I was showing him a lot of my favourite places and attractions (including an awful lot of pubs). But we also decided to visit some rural bits of the country so we rented a car and drove towards the coast. 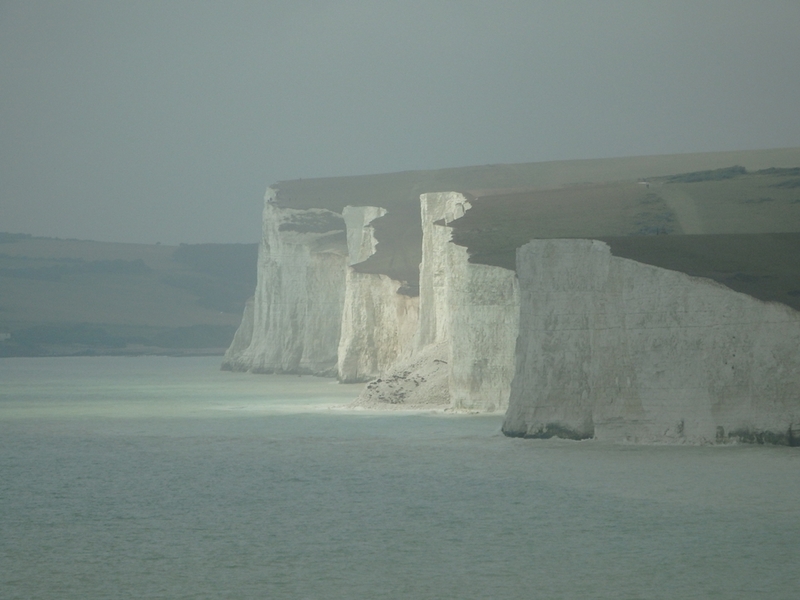 Our plan was to visit the famous cliffs on the Sussex coast, namely the Seven Sisters. However our trip didn’t start well. It was raining all the way from London south, it stopped only as we were reaching Brighton. 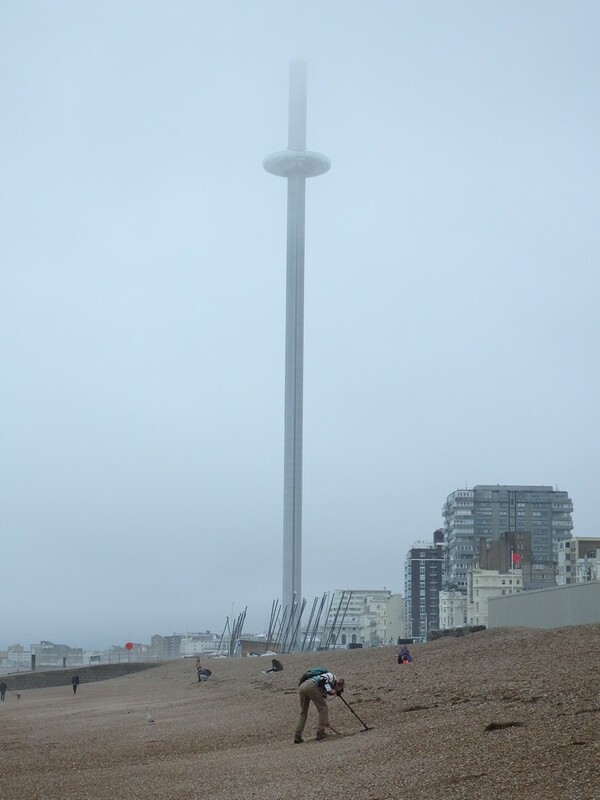 We had a brief break there, mostly to look at the new impressive structure on the beach, the British Airways i360. It is an extremely slim, 162 metres tall, observation tower, designed by the same team of architects which was responsible for the London Eye. The tower has diameter of only 4 metres and on this narrow core is suspended the observation deck which holds 200 people and travels from the ground level to the top, and back, in about 25 minutes. It apparently offers absolutely amazing views for miles in every direction but unfortunately the gloomy weather on the day of our visit made the ride completely pointless. At times, when the deck was high up, it was actually disappearing in the low clouds. So we decided to drive east towards the famous cliffs. Our first stop was at Birling Gap where the National Trust operates its visitor centre and where it is possible to access the bottom of the cliffs (via a staircase), as well as the hiking trails along the top. We started from going down to look how the sea “attacks” the cliffs. It was one of those days when the weather changed from minute to minute. One moment we couldn’t see too far, a few moments later there were glimpses of sunshine and we could see cliffs miles into the distance. The changing lighting also caused the cliffs to change colours from dark grey to bright white, and back, every few minutes. After climbing back to the top we headed east following the well marked path past the decommissioned Belle Tout lighthouse. In 1999 this listed building was moved in one piece to prevent it from succumbing to coastal erosion and is now used as a Bed and Breakfast. The cliffs around the lighthouse offer commanding views, much further than from the visitor centre in Birling Gap. But we decided to head even higher so we drove up to Beachy Head which is the highest chalk sea cliff in Britain, rising to 162 metres (531 ft) above sea level. Unfortunately the weather worsened again and fog started moving in from the sea. That meant that we couldn’t admire the amazing views which I remembered from a few years earlier. But, on the other hand, the misty weather created a wild and haunted ambience, and scared most of the tourists away so we had the place largely to ourselves. So far our trip was going according to plan, even if the weather wasn’t perfect. But now we decided to head further along the coast to stop somewhere for a meal. First we thought about stopping in Eastbourne but as we were driving along its seafront nothing looked particularly appealing so we continued further. Then we thought about stopping in Bexhill but decided that Hastings might be a more interesting option. But then, while stuck in traffic in Hastings, we realised that we would rather prefer some smaller place. And that’s how we ended up in Rye. I kind of vaguely remembered that it is a historic town but it was all we knew. Still, we decided to have a stop there and see if we can find some decent fish & chips. 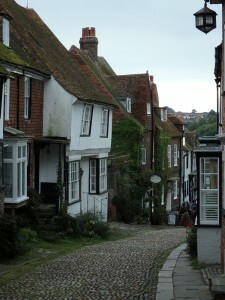 It was one of those wonderful random moments as Rye happens to be an absolutely fantastic place. Which we realised as soon as we entered the narrow and steep streets of its historic heart. Medieval maps show that Rye was originally located on a huge embayment of the English Channel which provided a safe anchorage and harbour. It was important port probably as early as Roman times. Rye was eventually a member of Cinque Port confederacy which it joined as an “ancient town” once New Romney was damaged by storms and silted up. Members of the confederacy were granted special trade privileges in exchange for maintaining ships ready for the Crown in case of need. 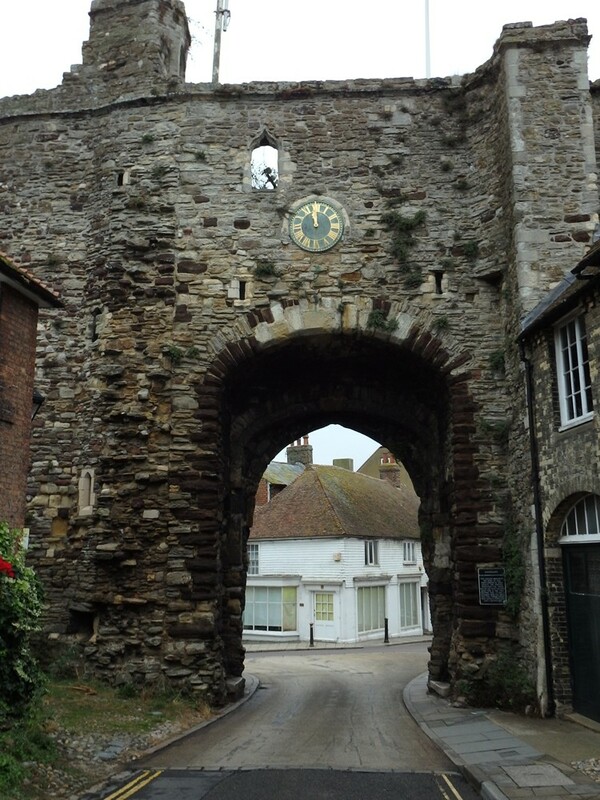 Rye was considered one of the finest of the Cinque Ports but with the coming of bigger ships and larger deep-water ports, Rye’s economy began to decline, and fishing and particularly smuggling became more important. 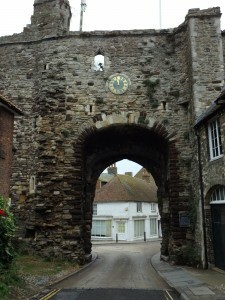 Eventually Rye lost its importance and didn’t develop much from 17th century onwards as some other ports did. All this means it is wonderfully preserved. First we walked up to the town’s High Street which we reached via steep Market Road. It is a nice street but rather typical for many small British towns. Things got more interesting once we walked up the even narrower East and Market Streets to Church Square. 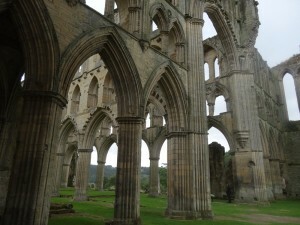 Here you can easily move back in time by a few centuries. 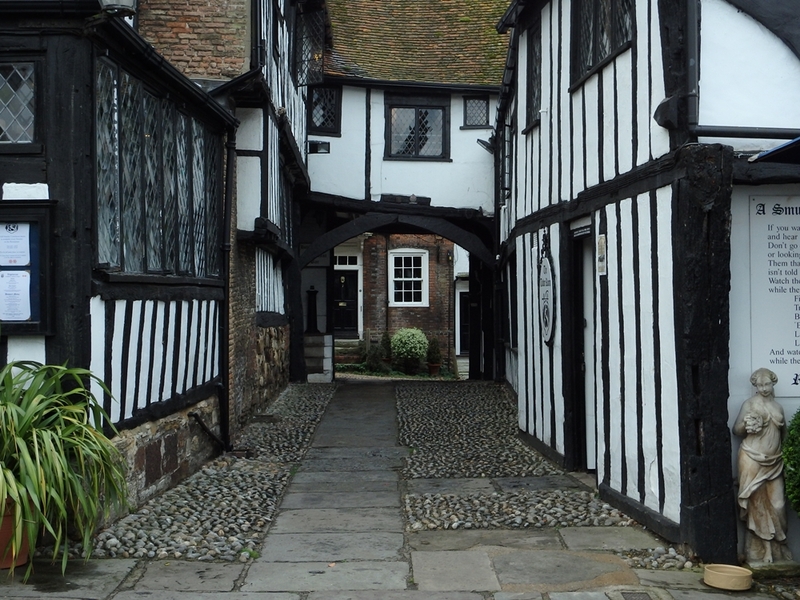 Streets in this part of town are often paved with cobble stones and lined by ancient timber frame buildings (some leaning at crazy angles). The Parish Church of St Mary, which has stood here since the 12th century, dominates this part of town. From the highest part of town we headed back down along the East Cliff. This is the name of the street leading to the last surviving city gate “the Landgate”. 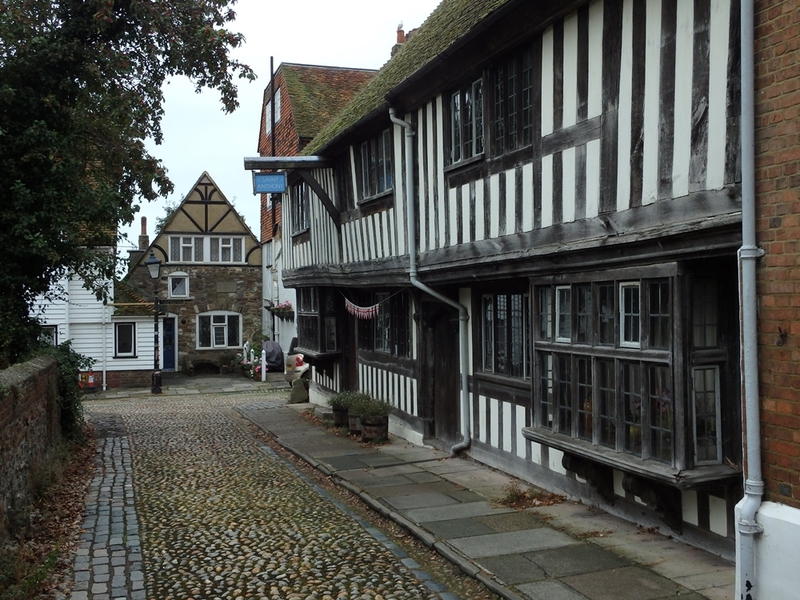 It dates from 1329, in the early years of the reign of King Edward III, and it is still the only vehicular route into the medieval centre of Rye. How cool is that! In search of a place for a meal we backtracked to Church Square and walked down Mermaid Street, yet another cobble stone paved and steep lane. Here we found an absolute gem, the Mermaid Inn. The current building dates from 1420 and has 16th-century additions in the Tudor style, but the cellars, built in 1156, still survive. All this make it one of the oldest places to have a drink in this part of the country. We simply couldn’t resist and popped in to the bar of the hotel which currently occupies the building. After a quick half pint it was time to move. We would have stayed longer if we had used the train instead of driving but as we couldn’t drink more it was time to move on . So after all this driving from Seven Sisters (originally in a search of food) we finally got to a fish & chips place located on The Mint, which is yet another narrow and curving street, leading from the bottom of Mermaid Street towards the high street. Here we had great chips (and for me a not so great burger) before heading back to our car. Rye was something I honestly didn’t expect on our trip. We took tones of atmospheric photos in the town and if we had more time we could spend hours checking every nook and cranny. Unfortunately it was getting dark so it was time for us to head back to London. But I will definitely go back to Rye, this time with more time to spare to explore, among other things, more of the local pubs. 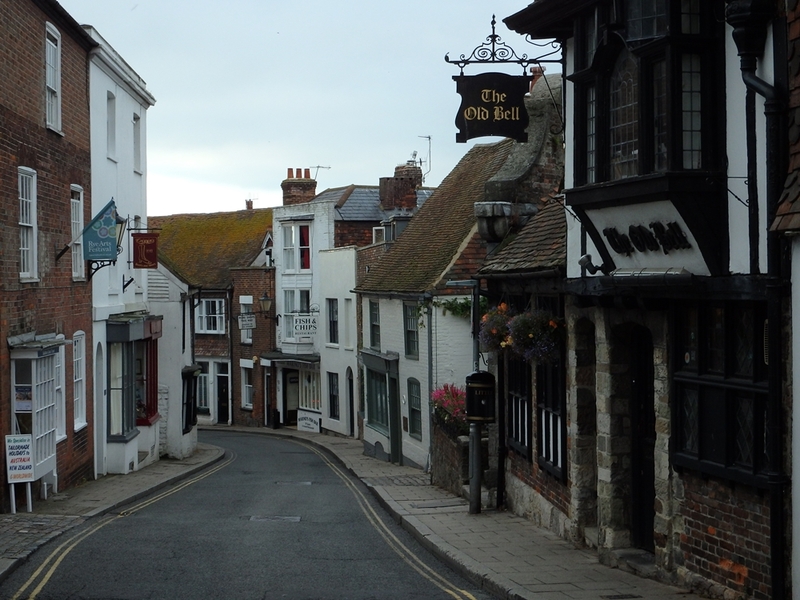 Our unexpected visit to Rye also gave me idea of visiting other Cinque Ports, especially Sandwich and Deal, which similarly to Rye never developed into larger urban centres. So stay tuned for more stories from this part of Britain. Dover is one of those iconic places which everyone knows, at least from the TV or pictures. White cliffs, castle, port etc. But on the other hand for most people who actually visit it, it is just a transit spot. 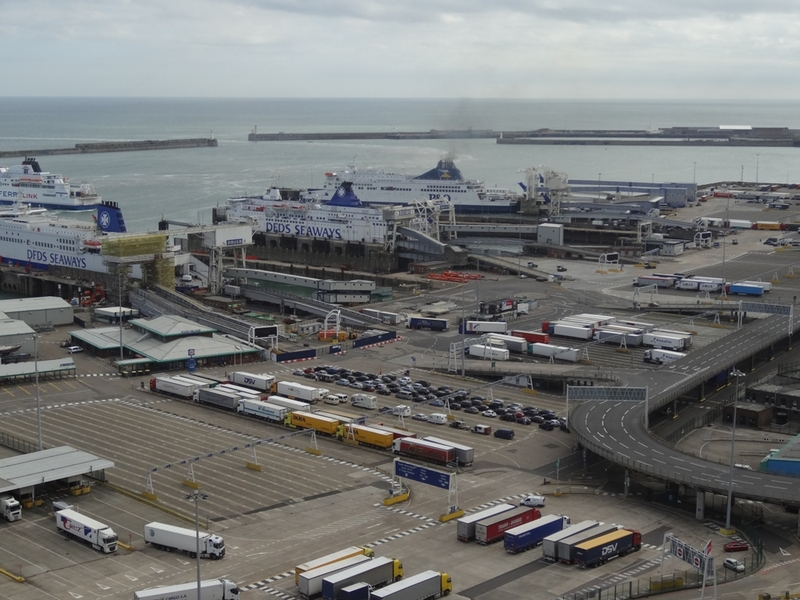 Brits quickly board the ferries to Calais while most arriving Europeans quickly continue to London and points beyond. This was also my first experience with Dover. In fact I belong to an increasingly rare breed of travellers for whom the White Cliffs of Dover rather than some bland airport arrival hall were the first images of Britain. After hitch-hiking all the way from Poland I boarded a ferry in Calais and crossed the 20 miles (33km) of the Strait of Dover. But it was over 16 years ago and I also didn’t linger but immediately headed further north. My second visit to Dover was caused by the Icelandic volcano grounding flights in Europe while I was on holiday in Poland. Again I had to use a ferry to reach Britain and again I didn’t actually stay in Dover at all. Finally, last year, with my girlfriend, we decided to actually visit Dover properly. We have recently acquired English Heritage membership and Dover Castle looked really interesting in their brochure. So, on a nice summer Sunday we just rented car using some leftover air miles on our cards and hit the road. 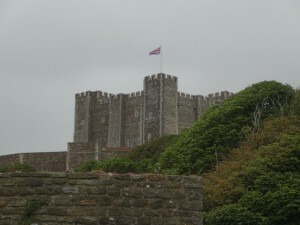 We drove straight to Dover Castle, one of the most impressive castles I have visited so far. Founded soon after the Norman conquest it is also one of the oldest in England (up there with Windsor Castle and the Tower of London). 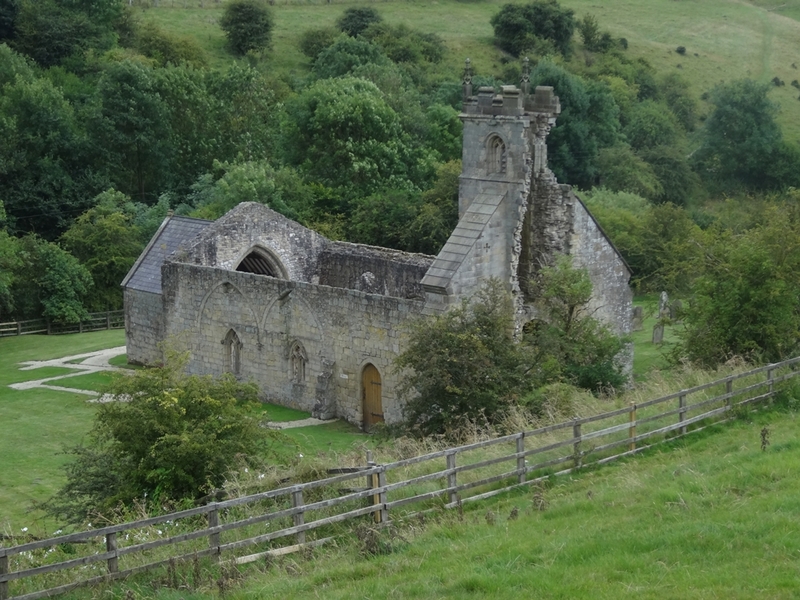 It was probably built on the site of earlier Iron Age earthworks and it contains a Saxon church (restored in the 19th century). It was also one of the longest garrisoned castles n Britain, from its beginning nine centuries ago, uninterruptedly, until 1958. 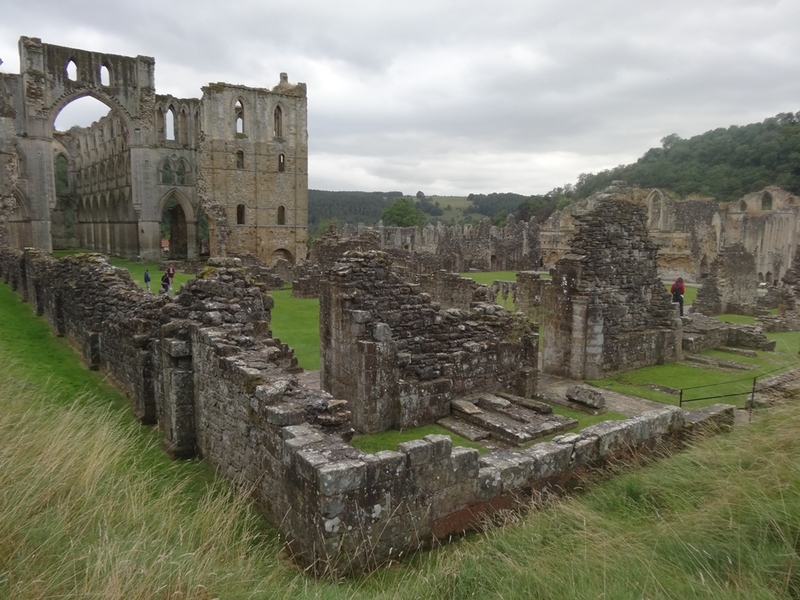 What is truly amazing is the fact that it even contains a Roman lighthouse, one of the best preserved in Europe and the tallest still standing Roman structure in Britain. I’m fascinated with Roman culture and infrastructure so for me it was one of the must sees in the region for a while. 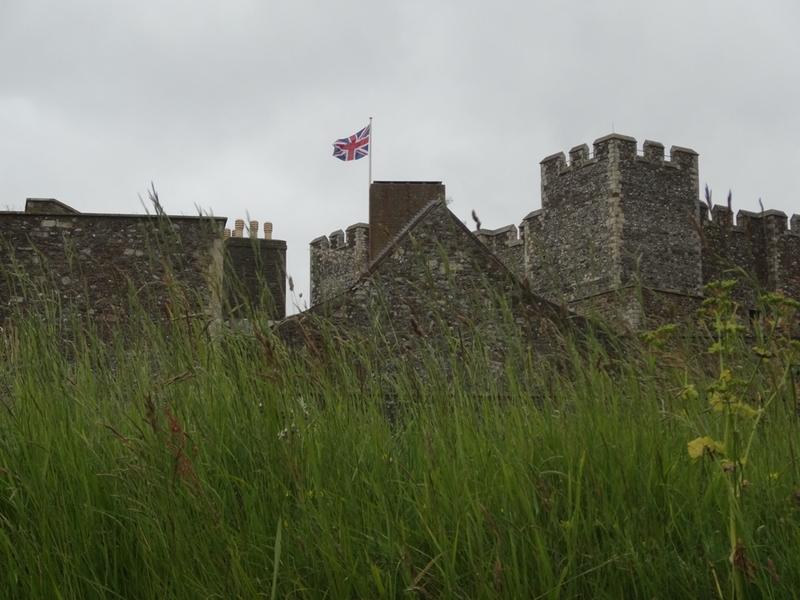 I love castles and Dover is one the finest examples of medieval military architecture. 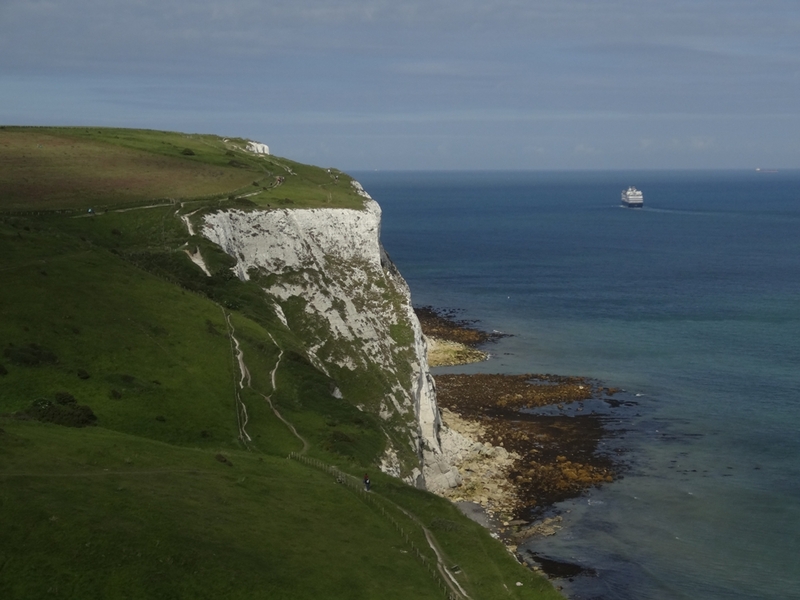 Located on the dramatic cliffs overlooking the Strait of Dover it commands the shortest approach to England from the continent. 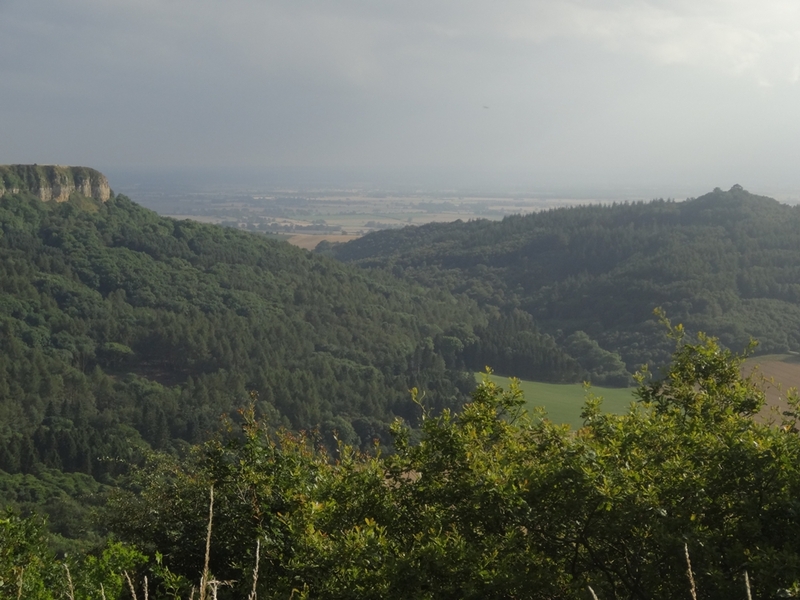 In fact you can actually see France from the castle. The oldest part of the castle and its heart is the keep, or the great tower, built during the reign of Henry II. It was the splendid palace to entertain the visitors as well as a last redoubt of the sprawling castle complex. 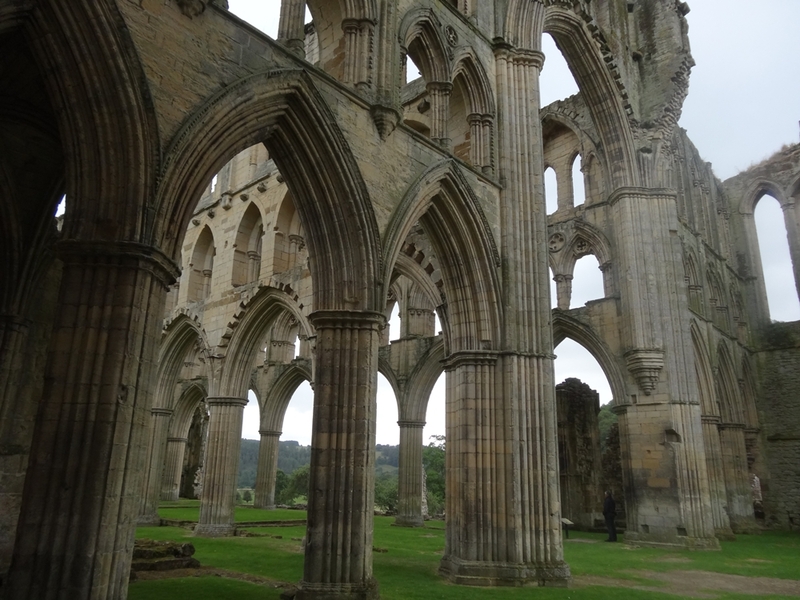 It is 25 metres tall and has walls up to 6,5 metres thick. The interior of the great tower is nowadays restored to its original décor, including very colourful furniture. It is amazing to see all those pastel colours as they look very different to how we imagine medieval castles. Grey and cold. 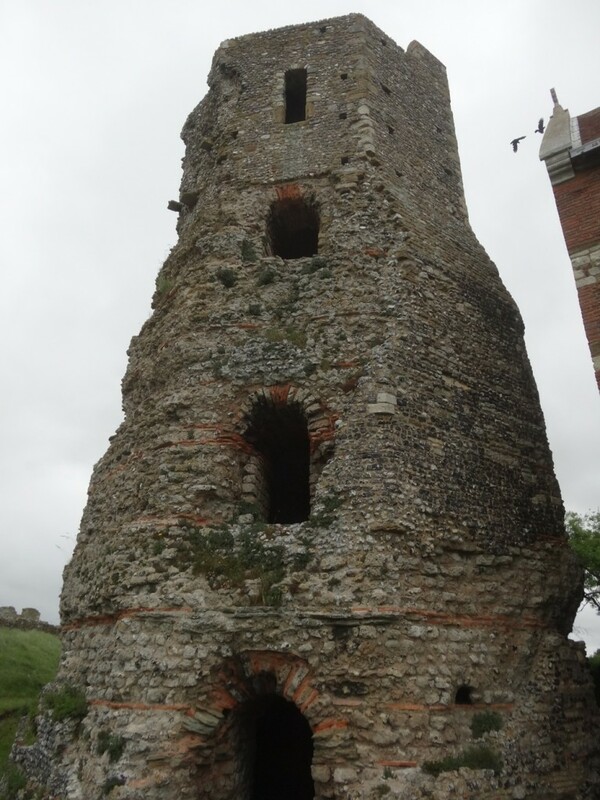 The castle was expanded in the first half of the 13th century under King John and Henry III, who completed the successive rings of defensive walls surrounding the great tower. Then over the years various bits and pieces were added to the complex. 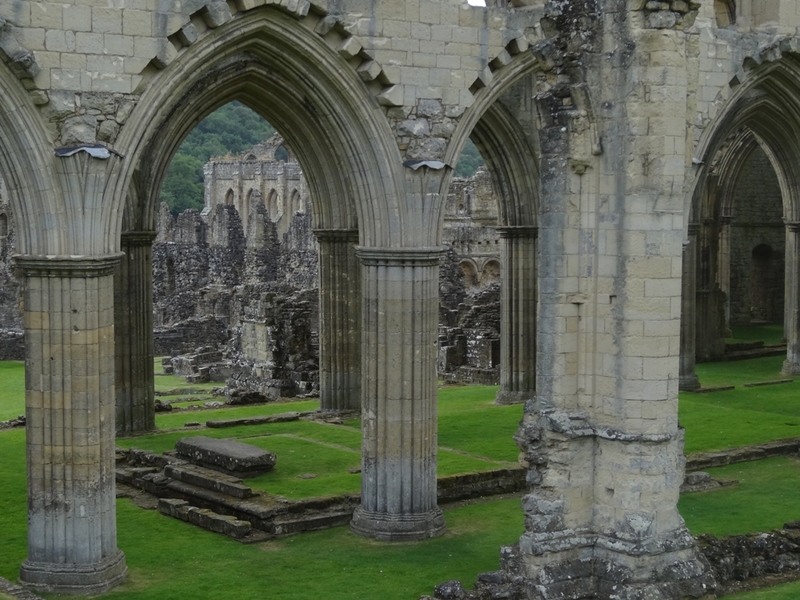 Then, at the end of the 18th century, during the Napoleonic Wars, a massive rebuilding took place. 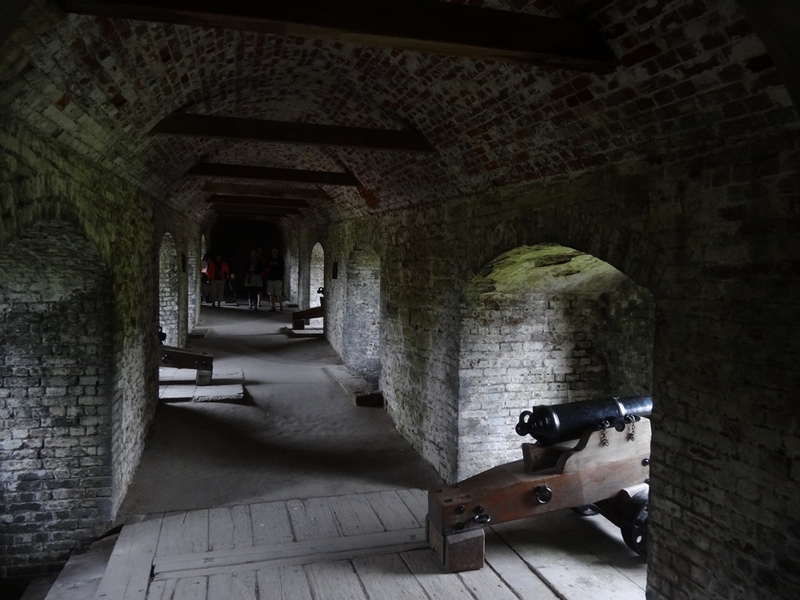 The outer defences were completely remodelled and huge bastions were added to provide gun positions. Also during that time a complex of barrack tunnels, about 15 metres below the cliff top, were dug. At the height of the Napoleonic Wars, the tunnels housed more than 2,000 men but afterwards they were abandoned for more than a century. During the Second World War the tunnels were used as a command centre, hospital and a large combined headquarters, responsible for guarding the Straits of Dover and involved in preparing for the 1944 invasion of Europe. For those purposes they were extended and strengthened. To visit the tunnels used during WWII you have to join a Disney-style tour during which special effects, dramatic projections and real film footage bring things to life. I’m not a fan of such dramatisations. But luckily there are also medieval tunnels burrowed beneath the castle during and after the siege of 1216. These covert defences protected the most vulnerable side of the castle from attack. 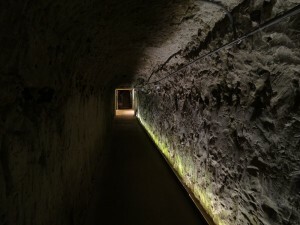 They are winding, dark and eerie, much more fun then the showy tour of the more modern tunnels. Dover Castle is admittedly one of the largest in Britain and touring it took us a good few hours. After leaving it in the early afternoon we decided to take a walk along the cliff tops east of the castle, directly above the Port of Dover. 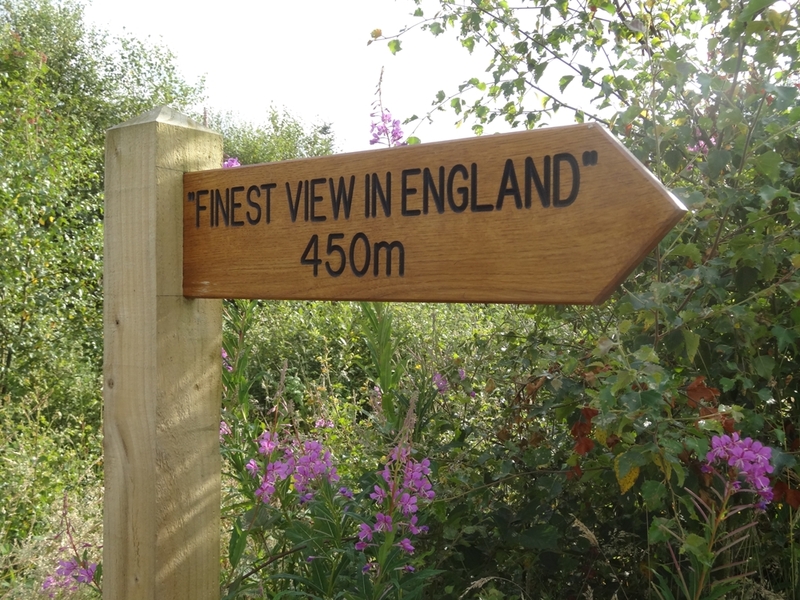 There is a visitor centre and a car park run by the National Trust which allows for an easy access to the coastal path. 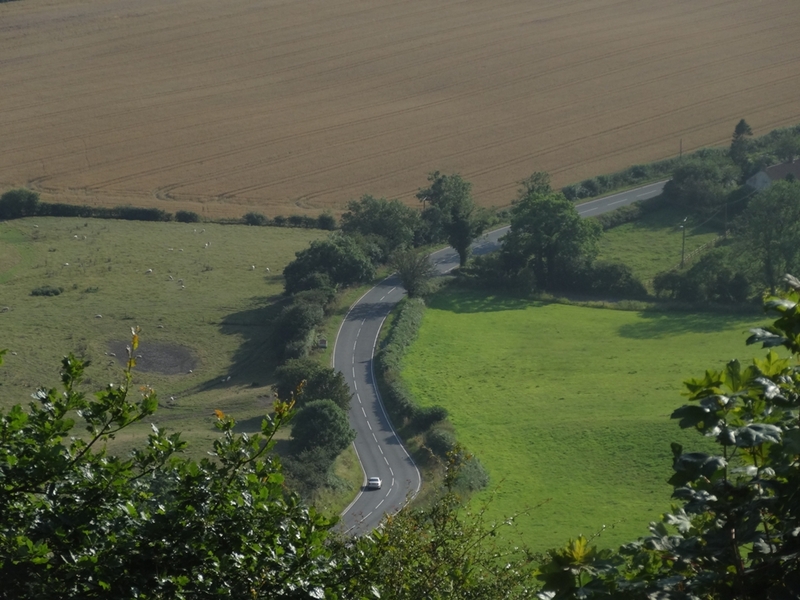 The trails follow the cliff tops closely offering great views of the famous chalk rock formations. These are the cliffs which for generations (before the advent of mass air travel) greeted most visitors to England. The same cliffs I had seen those 16 years ago. It was fun to finally see them up close. The weather was glorious and we could clearly see the coast of France, just 20 miles away. The path also offers uninterrupted views of the port. With 16 million travellers using it every year it is the busiest passenger port in Europe. Massive boats are constantly manoeuvring in and out of the docks and you can see several at any one time in the docks or crossing the Channel. In the port itself there is constant activity with boats docking and cars and lorries loading and unloading. For any transport geek (like myself) it is a great show to watch. 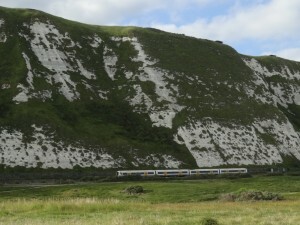 Our last stop that day was the Samphire Hoe just outside Dover. This slightly bizarre place is a country park created by using 4.9 million cubic metres of chalk marl from the Channel Tunnel excavations. It is accessible from the A20 via a single-track tunnel controlled by the traffic lights. We actually went there just because it looked weird on the Ordnance Survey map. The 30 hectares that make up the park were totally reclaimed from the sea. The first job to be completed was the building of walls in the sea to create an artificial lagoon at the base of the cliffs which was then filled with the rock spoil. 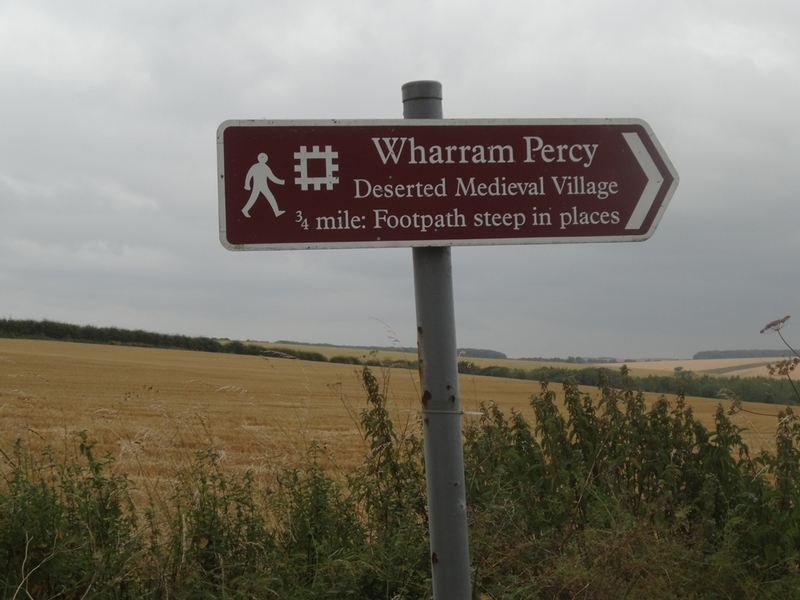 That gave the site its artificial shape on the map which caught our attention. There is a walking trail offering great views on the towering Shakespeare Cliff and the park serves as a wildlife area. In the late afternoon our car was the only one in the car park and the whole place had a bit of a ghostly feel. I simply love such unusual sites. In general we had a great day out. Medieval castle, underground tunnels, Roman lighthouse, towering cliffs, bustling port and a glimpse of France, all less than two hours from London. Dover is definitely worth a visit.